Interesting tips from experienced car owners regarding long-term leasing car storage in Highland. Ideally, we would be able to drive our beloved vehicles all the time. There are many types of circumstances, however, that can lead one to put his or her car or cars in storage. Whatever the reason for needing long term leasing car storage, such as offered in our Highland area secure storage facility, it pays to know how to do things properly. There are a lot of tips out there on how to prepare a car for long-term storage, but we have found some interesting tips that have made a world of difference to those experienced in the storage of their vehicles. Whenever possible, indoor storage where the car is protected from wind is best. Even when storing indoors, a car cover should be used. In fact, experts say that car covers are really intended for indoor use, and do very little to protect an outdoor-stored vehicle. Driving a car only every six months is a better alternative than letting it run for a few minutes every week. Weekly running for a few minutes does not allow adequate warming of necessary parts, and can lead to condensation in the exhaust and crankcase of the vehicle. Cars should be washed and waxed, before storage. All parts, including chrome parts, should be treated. Placing a small tin of untreated charcoal briquettes inside the car will help eliminate any odors. Keeping windows cracked allows airflow, but also lets seals relax so that they can seal better when the car is taken out of storage. Changing the oil in a vehicle is best done immediately before storing, not weeks before. Trickle charging the removed battery once a month is ideal to save the battery. A full tank of gas helps prevent condensation buildup in the tank. Fuel will be fresh for up to a year. After that point, any fuel in the vehicle will need to be siphoned and disposed of properly. Store your vehicle carefully! Putting a car up on jacks or blocks placed under the frame is not good for suspension. It is important to ensure that the bushings, struts/shocks, and springs are all in their natural position. If you are concerned over flat spots, supporting the vehicle at the outermost points is best. When having to store your car for any period of time, you will obviously be concerned about its safety and wellbeing. 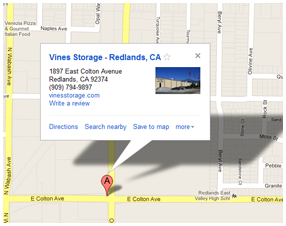 Vines Storage offers a number of storage solutions, including indoor and outdoor areas, and 24/7 monitoring. Contact us for information on our facility and leasing plans.